Cavernous expandable messenger bag that will swallow everything including the kitchen sink and most of the cupboards too! Packed with carefully thought out features and made to last. 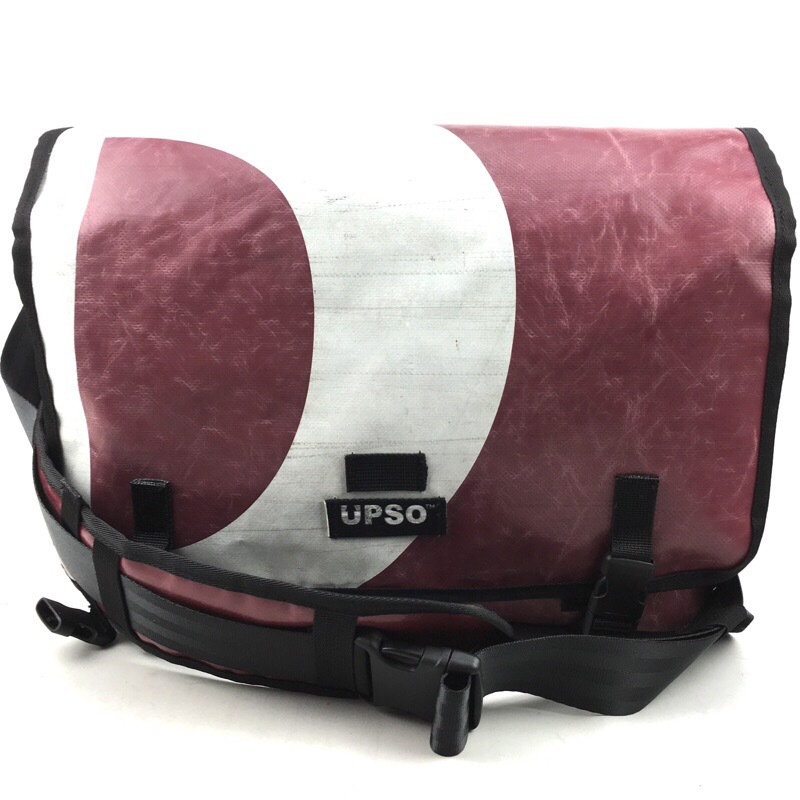 Each bag is individually cut out from lorry tarp and made up with re-cycled seatbelt webbing and firehose to give the user a totally original bag. The bag shown is the actual bag and no two bags are the same.